sheltermanager.com partner with adoption websites, grant/data organisations, lost and found animal websites and microchip providers to make life as easy as possible for our customers to get the maximum exposure for their adoptable animals, automatically register adopter details with pet microchip registries and to produce figures and reports for grant organisations. BrowserStack is an innovative service that allows us to perform live testing of our software in over 1,100 real web browsers. PetFinder are one of the most popular pet adoption websites covering the USA, Canada and Mexico. Adopt-a-pet are North America's largest non-profit pet adoption website. PetRescue are the most popular pet adoption website covering Australia. Best Friends are the largest no-kill shelter in the USA. They run a number of initiatives to help reduce the number of animals killed in shelters. ASM can calculate the necessary figures to complete their annual matrix with a single report and supports exporting machine-readable CSV data to them. Maddie's Fund are an organisation dedicated to reducing the number of healthy animals that die in shelters each year. ASM can generate Asilomar Accords figures and integrates with "Maddie's Pet Assistant" - an innovative mobile app aimed at fosterers and adopters. Petco Foundation offer grants and support to animal welfare organizations in the US. ASM can generate annual figures in the format they require. shelteranimalscount.org are a database project, aimed at gaining insight into the number of healthy animals that die in shelters. ASM can calculate the necessary figures to complete their annual matrix with a single report. HelpingLostPets are a free service where lost and found animal listings can be posted across the USA. 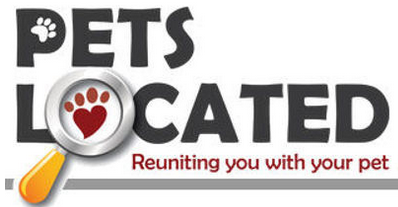 PetsLocated are a UK-based service aimed at reuniting lost pets with their owners. FoundAnimals are a non-profit, offering a completely free microchip registry where any brand of microchip can be registered. SmartTag offer Pet ID tags as well as microchip products with lifetime registration. PetLink / Datamars are the largest international manufacturer and provider of ISO compliant microchips and industry leader for over 30 years. An original partner in the US with Shelter Manager. HomeAgain were one of the first microchip supplier and registries in the USA. AKC Reunite are the largest non-profit Pet ID service and microchip registry in the USA. Avid are one of the largest and most popular microchip suppliers in the UK. idENTICHIP is the UK's original microchip supplier and microchip registry.